Black woman has white baby twice! 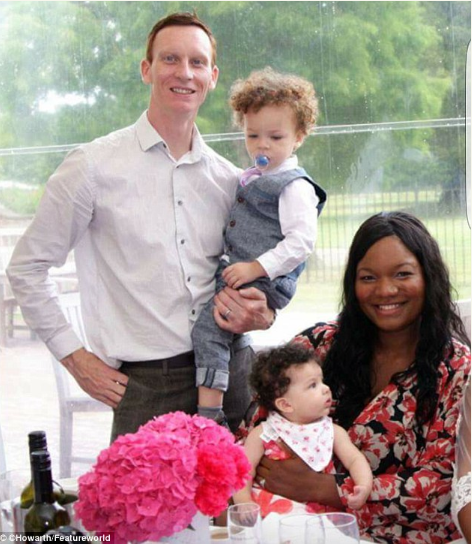 A Black woman has shocked the medical world by having a white baby twice.The mother of Nigerian decent has become the first black woman to have two white children. The probability of this happening once has been calculated to be less than one in a million. Catherine Howarth, a Financial analyst who is married to Richard Howarth believed to have a recessive gene which resulted to the birth of her son, Jonah who was completely white and had blue eyes. According to her, when she gave birth to her first child, the genetic specialist said it was almost impossible for her as an African to have blue eyed child "When Jonah was born, a genetic specialist said he was a one-in-a-million baby. He said it was extraordinary with my African background that I'd had a child with blue eyes and pale skin. He calculated the possibility of it happening again was less than one in a million. So when Sophia was born with white skin and blue eyes I was more than taken back with shock. It seems the odds of it happening twice are millions-to-one. 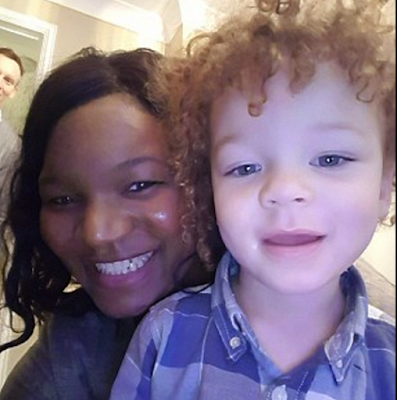 No-one has heard of a black mum having two white babies one after the other." Catherine who is a Nigerian says she has no knowledge of white genes in her family. "My parents were from Nigeria and as far back as anyone can recall my family have all been black. The only explanation seems to be there must have been a white gene in my family that has remained dormant for years until now. And now it seems to be very dominant.' Despite the initial shock, the couple are delighted with their miracle children."